The Pipeliner CRM Inbox Add-In for Outlook allows you to see all Pipeliner appointments, contacts, tasks, accounts, opportunities and leads associated with email addresses—without ever having to switch between Pipeliner CRM and Outlook. 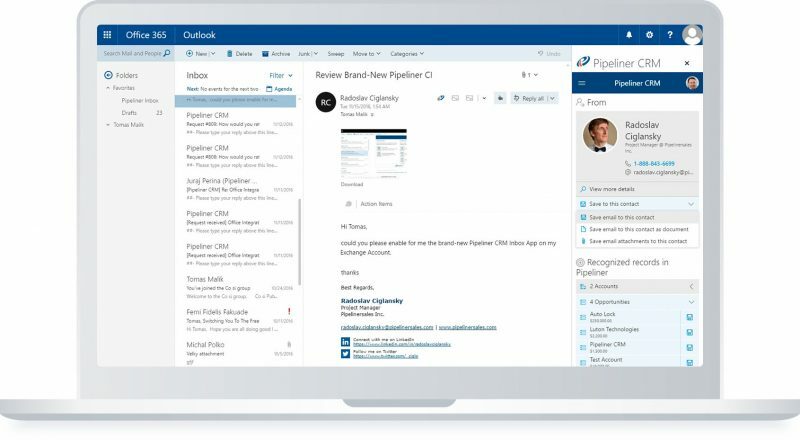 Whenever an email message comes into your inbox, the Pipeliner CRM Smart Preview Panel for Outlook displays detailed information about the message sender within seconds. 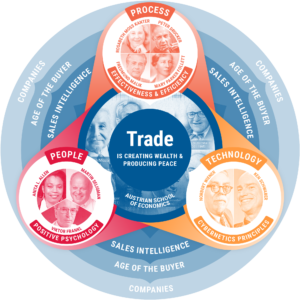 You can easily review all previous business conducted with that contact, including all related activities, leads, accounts and opportunities. 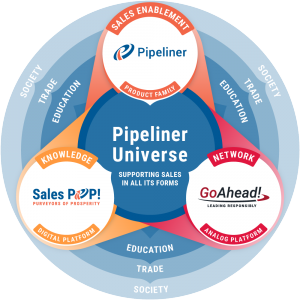 You can save all content from a received email message to Pipeliner. If needed, you can also create and save additional records related to the contact. Over the Pipeliner CRM Mobile App, you can also make a phone call directly from Outlook. When composing an email to a prospect, client or customer, you can add other contacts or even other sales team members right from CRM. You can also, right from CRM, attach documents. 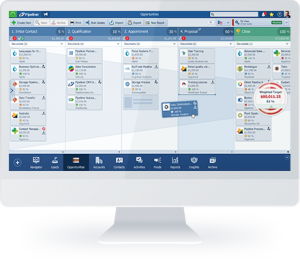 Pipeliner CRM is often used for scheduling appointments. With the Pipeliner CRM Inbox Add-In for Outlook, you can add contacts and members of the sales team as meeting attendees, and also attach documents to appointments. 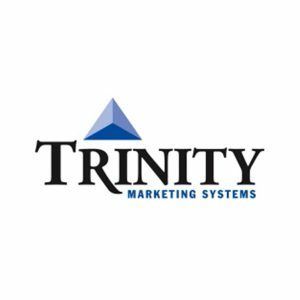 You must have a current trial or subscription for Pipeliner CRM to use Microsoft Suite Integration. Click below to download latest Pipeliner CRM Free Trial.